I’m from the Samson Cree Nation, born and raised and still live here. I’m a self employed contractor, mainly residential development. Education is a treaty right and must be protected and exercised for the benefit of our children and future generations. It gives our children the ability to determine their destiny. By exercising our treaty right in education, we are investing in our most natural resource, our children. I proudly serve as the Louis Bull Tribe, Kisipatnahk, Chief. Maskwacis Education School’s Commission is the unified Education program for the Maskwaci inewahk, taking the Caucasian boundaries out of education and focusing on Wahkotowin kakehtahkik kitawasimsinawahk. As Chief, it is my belief to continually invest in Maskwacis education to break down barriers and establish our own curriculum enhancing our Language and Cultural programs. 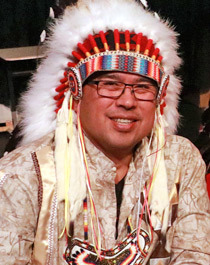 Craig Makinaw is the Chief of the Ermineskin Cree Nation, and he has served as the Regional Chief of Alberta and Executive Committee Member for the Assembly of First Nations, as well as the Grand Chief of the Confederacy of Treaty Six. 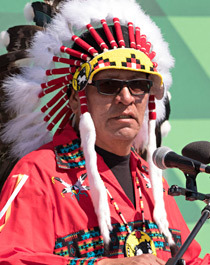 Chief Makinaw has over 25 years of collective experience working for the people of his community, as well as the Alberta Region of First Nations through the Assembly of First Nations. 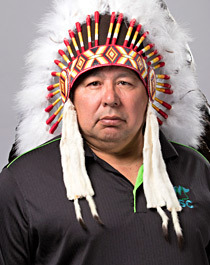 Chief Makinaw’s Cultural insight and familiarity with First Nation’s issues make him an asset for Maskwacis and Alberta. 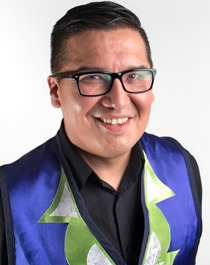 Chief Craig Makinaw is the Founding Board Governor of MESC, and applauds the new school commission on their new path, striving to provide a better education for all Maskwacis students. Our youth are our future, and for that future we have developed our own education system that is tailored to our culture and identity. We must do all that we can to encourage their success throughout the new school year and beyond. 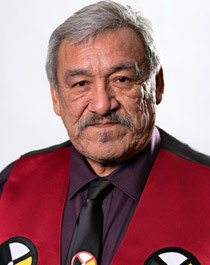 Saddleback is Chief of Samson Cree Nation in Maskwacis, AB. Chief has had various roles in education by learning as a student to facilitator at different points in his life. 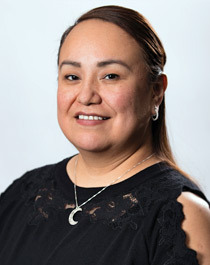 Chief Saddleback has a Master’s in Education from the University of Saskatchewan and is the former Chairman for Nipishkopahk Education Authority. Saddleback is an avid supporter of Education, and believes that education can make a difference for Maskwacis members. Chief Saddleback notes the commitments of the Board and the MESC administration will ensure that Maskwacis students receive the highest quality education and children will always be at the forefront of the work that we do. 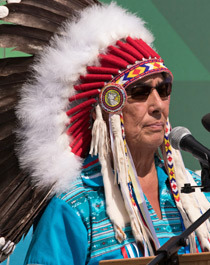 Leonard Standingontheroad serves as Chief for the Montana First Nation. 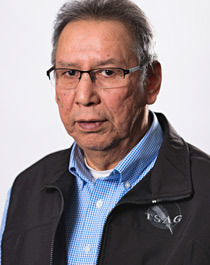 Leonard’s background from various roles within the community in economic development, human resources, and industrial capacities has inspired him to make the Montana First Nation a safe and healthy community. Chief standingontheroad is a founding Board of Governor and congratulates MESC on celebrating their inaugural year. Chief Leonard acknowledges all of the work by everyone involved in the establishment of MESC. I reside in and am a member of the Samson Cree Nation. I am the daughter of Victor and Sophie Bruno and a proud mom of two daughters, Koralee and Jacqueline. I have completed my PhD specializing in Indigenous Peoples Education from the University of Alberta. I strongly desire to serve and advocate for our Maskwacîs children and families who deserve a quality education with a strong foundational Cree language and land based teachings. I want to assist MESC in bringing value to Wahkotowin as a way to support and nurture student success. I believe that Cree values need to be embedded in the curriculum ensuring that what is important in the Maskwacîs community is reflective in programming. This may mean interrupting our understandings of curriculum making and contextualize curriculum alongside the lives of children and families. In our context as Cree people, Nehiyaw Pimatisiwin is reimagining curriculum making in the lives of learners as they come alongside Elders/Traditional Knowledge holders/Cultural Advisors/Teachers to learn the creation stories, philosophies embedded in our value system, language, treaties, Maskwacîs history and culture that is experientially based. I am a proud member of the Louis Bull Tribe, I reside in my community and serve as the Band Administrator for my Tribe. I was honoured to be asked by Chief Irvin Bull to be part of the MESC board, to learn and become directly involved in the education system in Maskwacîs. MESC, to me, means an opportunity to enhance the education system within Maskwacîs. To give our children educational services they deserve and an education that not only meets but exceeds provincial standards. Education is our road to success and sustainability in our communities. Ensuring each child has the opportunity to succeed in school, so that they have that same opportunity to succeed later in life. Education gives us the ability to provide for ourselves. The more people we have in Maskwacîs that become lawyers, teachers, entrepreneurs, and such; the more we build our Nations. MESC has brought all the Maskwacîs Nations together to work towards developing one authority for the benefit for all Maskwacîs schools. The benefits of developing one authority are improved resources and services, which in turn will increase student numbers in each school, especially our smaller schools. I am a member of the Erminskin Cree Nation where I work and reside. I am the daughter of Margaret Cutarm and am married to Ben. We have five children, 3 whom are high school graduates. Currently I am the Strategic planning Manager for the Ermineskin Cree Nation. I have sat on the Miyowahkotin Education board for the last six years and the MESC transition board for three years. As we enter this new era of the school amalgamation, I wish all students, parents,and staff success and thank you for your patience as the administration moves forward in providing the education service. My name is Okimaw Nipawo “Standing Chief”, I am from Samson Cree Nation, Maskwacîs of Treaty No. 6 Territory. MESC means an opportunity at a bright future for our Maskwacisahk, one that will ground them in our traditional way of life, our Oral history, our language & our culture combined with educational tools for a successful future. I thinks it’s very important investing in Maskwacîs Education because we all as a whole need to invest in our futures collectively. Only then we will be able to go there together in a unified manner that is truly reflective of our Nehiyawawin way of life as a Peaceful Plains Cree People. The roles we all play collectively intertwine like a braid of sweetgrass and this is the essence of why it is important for each of us all to invest in a future that is promising for our children. Tansi, I live and work in Montana First Nation as an Elders coordinator. I love to spend time with my family and attend ceremonies. It is time we start teaching the true history of our people and going back to cultural traditional teachings by using natural law as guidance. MESC’s mandate is to be on par or even better than provincial educational standards and to create our own curriculum with the help of Maskwacîs Elders and the people of Maskwacîs. I expect to have our own Maskwacîs people teaching in all the schools who have the cultural and traditional knowledge background that can pass that knowledge to the students. 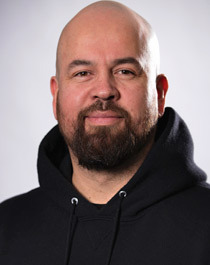 For more than 40 years, Dr. Littlechild has worked to build bridges between Indigenous and non-Indigenous people through athletics, politics, and law. 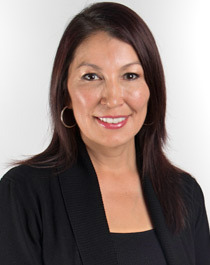 Dr. Littlechild has been active with a number of organizations both within Canada and abroad, including the Indigenous Parliament of the Americas, the United Nations and the National Indian Athletic Association. He served as a Commissioner on the Truth and Reconciliation Commission of Canada, whose final report was released on December 15, 2015. For his participation in Indigenous and athletic endeavours, Dr. Littlechild has been honoured with several awards, including the Lifetime Achievement Award, and the Order of Canada; he has been inducted into eight sports Hall of Fame, including Canada’s Sports Hall of Fame (2018). 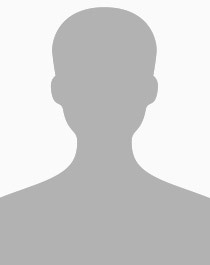 He graduated from the University of Alberta with a Master’s Degree in Physical Education, a Bachelor of Law Degree, and has been recognized with five Honourary Doctors of Law Degrees. 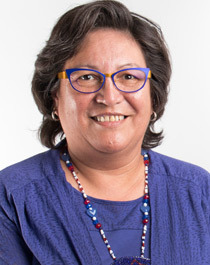 Dr. Littlechild was bestowed with the title of International Treaty Chief by the Chiefs and Elders of the Confederacy of Treaty No.6 and the Assembly of Treaty Chiefs (Treaty No. 6, Treaty No. 7 and Treaty No. 8 Alberta).